"24 Hours. A short period of time in the scope of eternity. 24 Hours Endurance Racing: a span of time longer than eternity." In September 1999, after a hiatus of seven years, the WERA National Endurance Series reinstated its most grueling and demanding event, the 24 Hours of Willow Springs. A race will break some teams and reward those teams most tenacious and prepared. 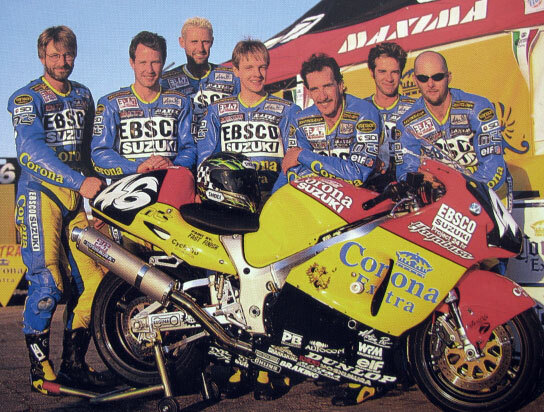 Team EBSCO Suzuki Corona Extra came prepared with a Heavyweight Superstock Hayabusa that would win its class in this remarkable event, finishing 2nd overall, and a team that seems now, looking back, like one truly for the ages. 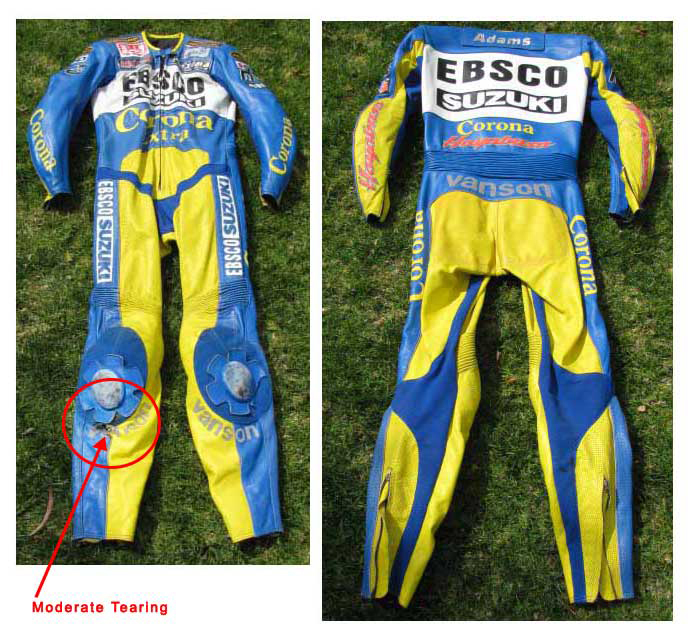 Aside from a small tear below the right knee puck, the Vanson Leather suit picutred left remains in almost new condition, having only been worn once by Curtis Adams exclusively for this event. If you can't resist this exclusive opportunity, please contact us here. Taking turns racing around the "fastest track in the west" that historic weekend were: Dave Deveau, Doug Polen, Curtis Adams, Andrew Trevitt, Cal Rayborn, Tom Montano and Mark McDaniel.